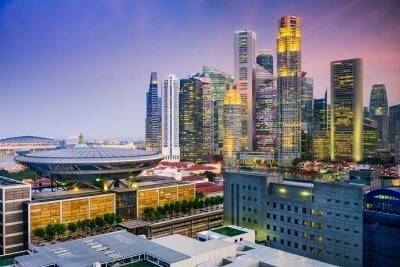 It’s 2017, and still, this land of fun, fling, and food is just like 15th-century Portuguese colony requiring just an eye-full of wanderlust. 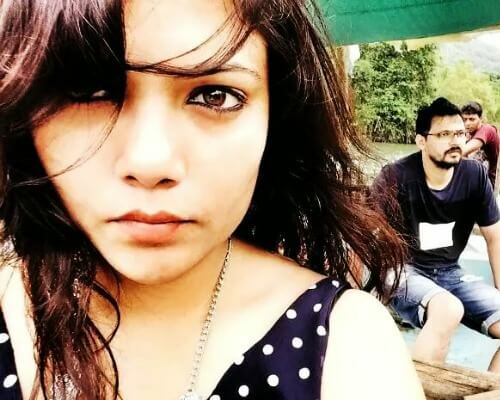 Yes, this side of Goa does exist! 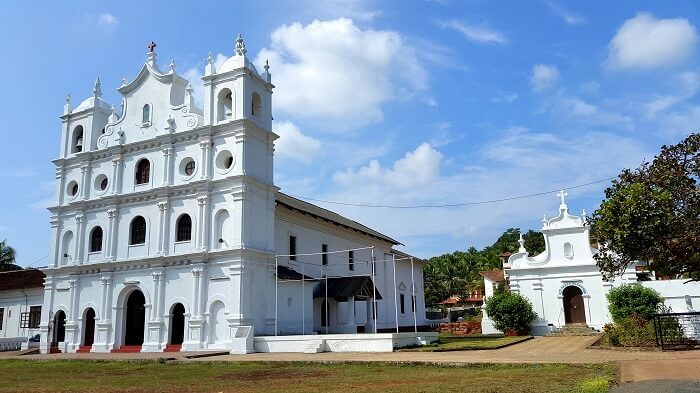 The beautiful churches in Goa with its superlative blend of Indian and Portuguese architecture provide a glimpse of this side which must be explored on your next vacay in Goa. 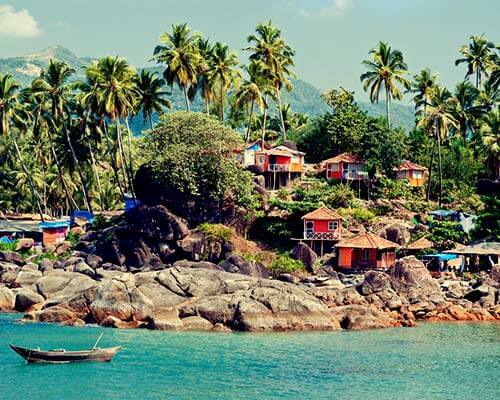 Have a look at these spell-binding churches and make sure that they feature in your Goa trip. 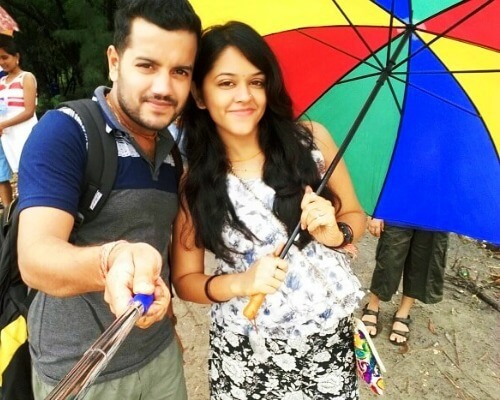 Why visit Churches in Goa? 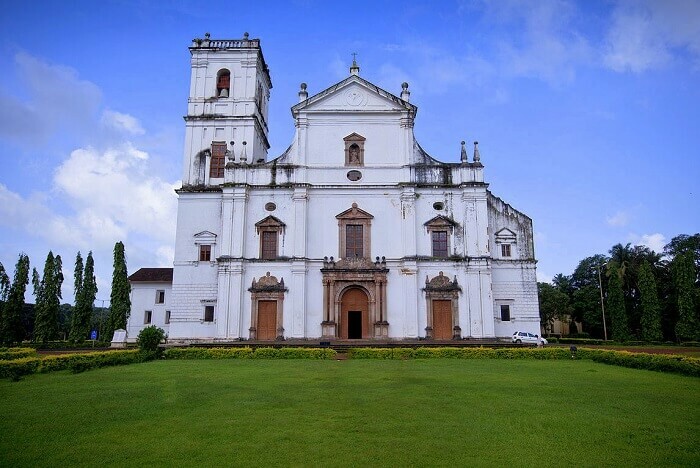 Top Churches In Goa For Your Next Trip! 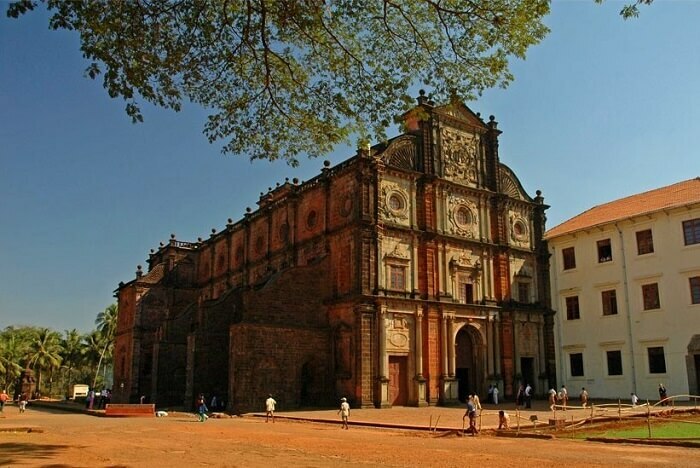 Of all the Churches in Goa, Basilica of Bom Jesus is the most frequently visited. 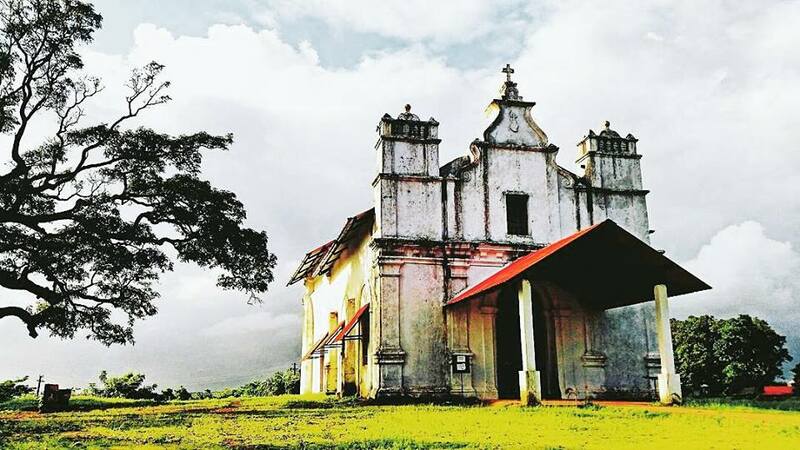 Owing its existence to Jesuits who came to India in the 15th century, this is one of the oldest churches in Goa dating back to 1594. 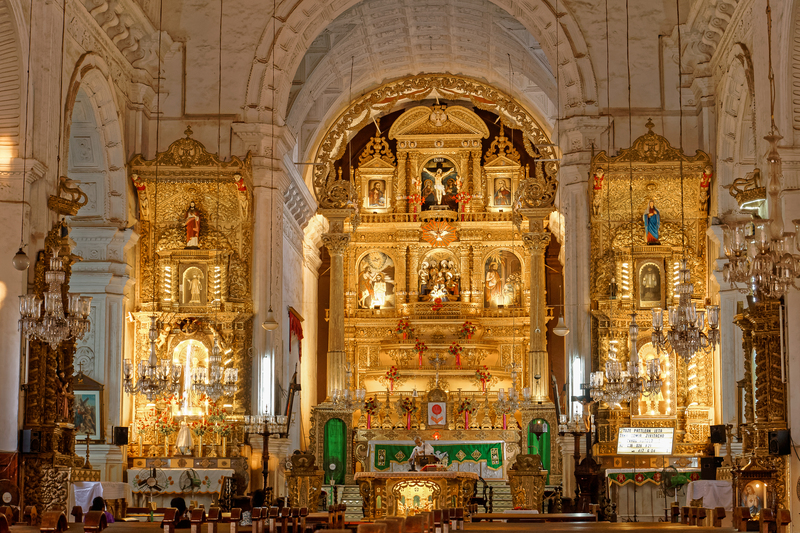 With its elaborate works of precious stones, the incorrupted body of St.Francis Xavier, and surreal works of impressionist painter, Dom Martin Basilica Bom of Jesus casts a spell of astonishment on each one who visits. 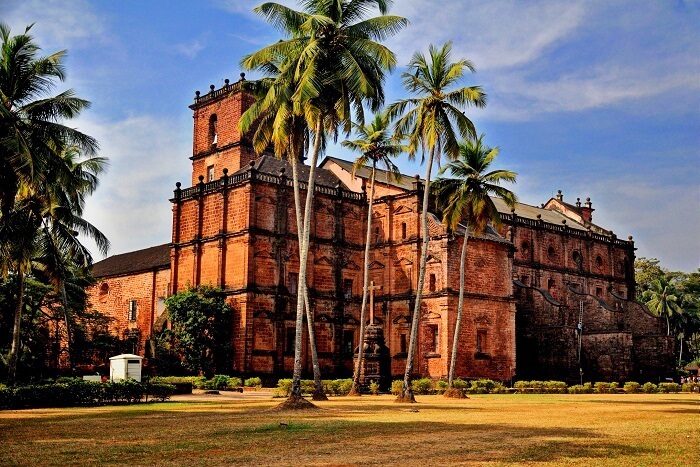 Owing to its magnificent architecture the Se Cathedral is the biggest of all churches and convents of Goa. 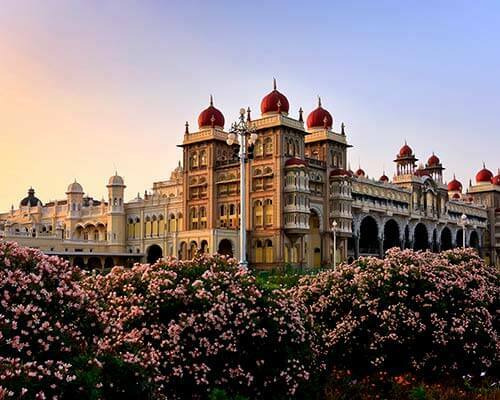 It was built to commemorate the victory of Portuguese rule over India dedicating it to St. Catherine. 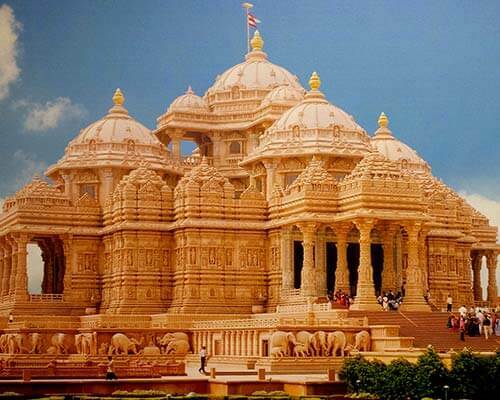 Housing the Great Golden Bell and having received the benediction of Pope in the form of the Golden Rose, this place has a very vivid spiritual aura to it. 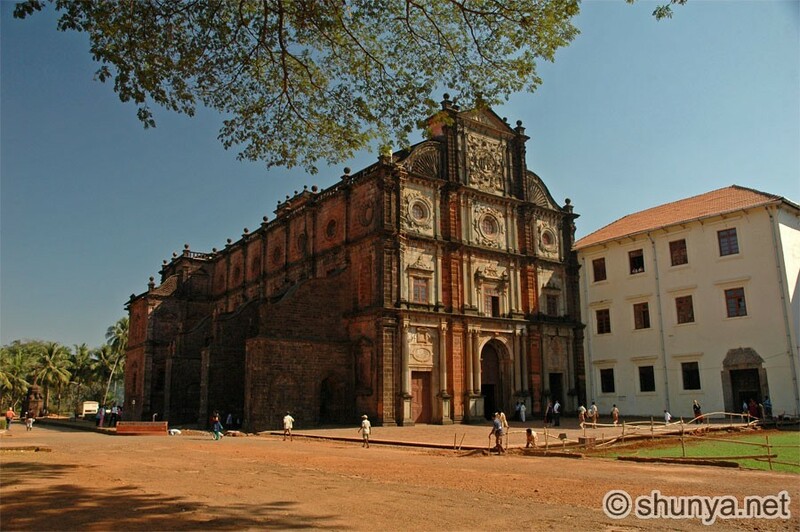 Situated on the ‘Monte’ the Church of our lady of the Mount is the most famous old Goa church. 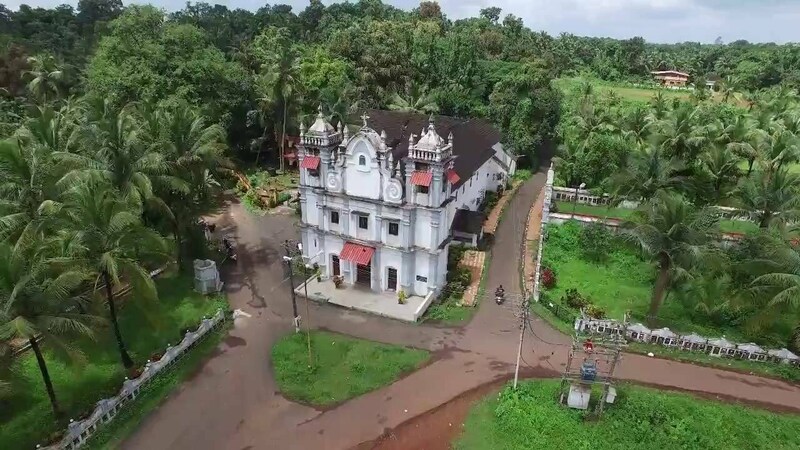 Right beside Se Cathedral, this church offers mesmerizing views of Mandovi river, Chorao islands, and Old Goa amid the fresh ambiance of surrounding hills and has also featured in movies like All The Best and Zeher. 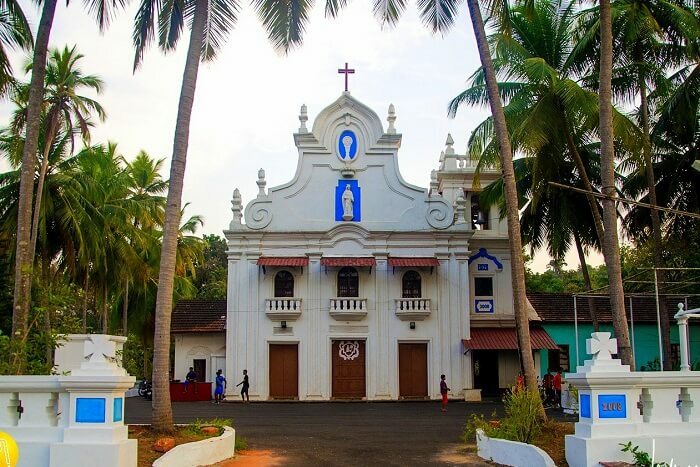 Modelled on the St. Peter’s Basilica, in the Vatican city, the Church of St. Cajetan is one of the most beautiful of churches in South Goa. 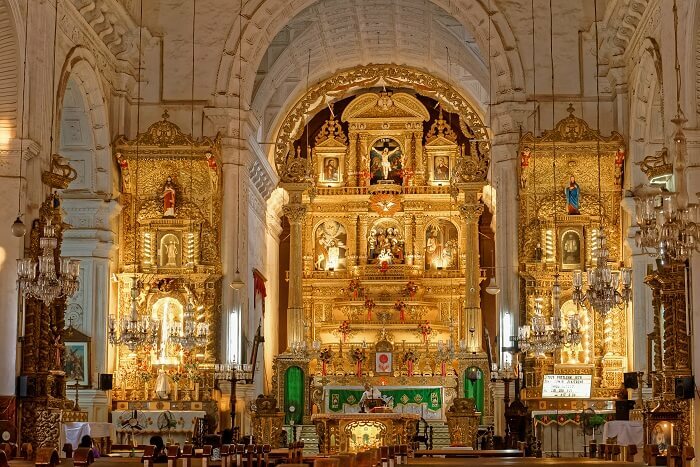 With its Corinthian Architecture and Baroque style carvings, the church impressively portrays the majestic Portuguese Era and hence boasts thousands of admirers all around the world. 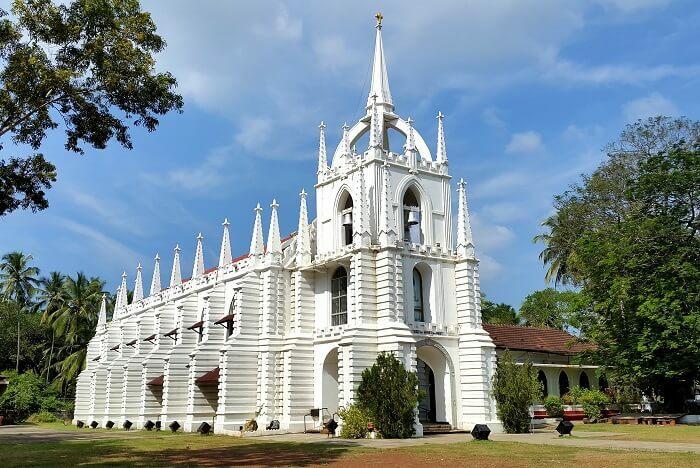 With its unique castle-like architectural design and flawless white walls, Mae De Deus Church is the only church in Goa in the Neo-Gothic style. Possessing stunning gilded and carved embellishment including the miraculous Mae De Deus Statue, this church’s beauty with illumination is spellbinding at night. Thus, drawing more admirers at night. Churches are built to bestow God’s grace and protection on humans thereby to evade the forces of evil. However, the Three Kings Chapel is one of the churches telling a tale of greed and jealousy through the presence of evil energy there. 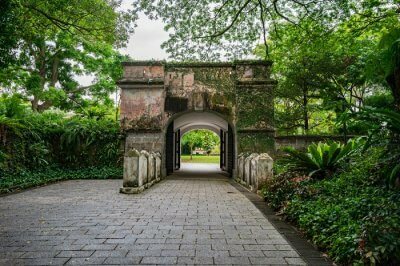 The church boasts innumerable ghostly and mysterious legends enticing many to visit this place to get a first-hand experience. The St. Diogo’s church is a beautiful church constructed in a Neo-Roman style, built by patrons of .St. Diogo. 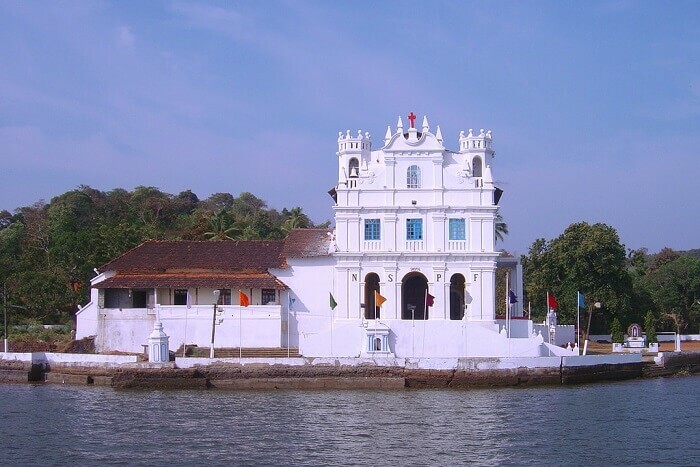 The church is imparted with 5 baroque altars and 3 bells making it the most distinct of all the churches in North Goa. 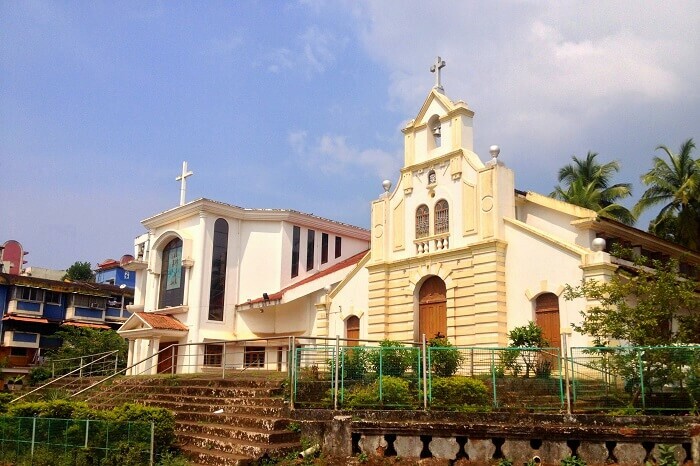 Beginning as a small place of worship, the Santa Cruz Church gradually developed into what it is today, serving as one of the largest parishes in Goa. 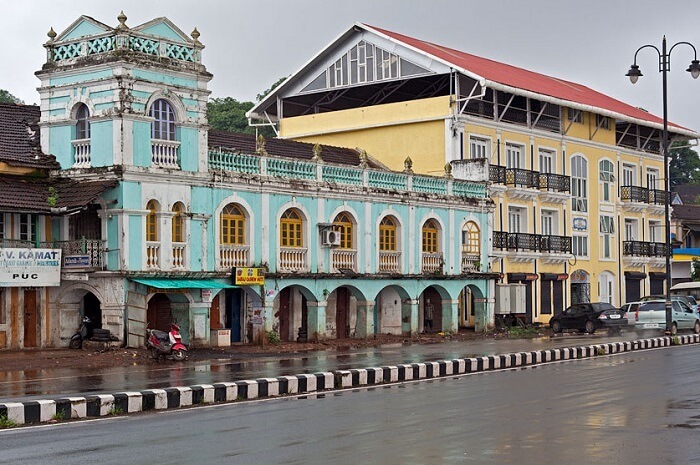 As being constructed in the Neo-Roman style it is a beautiful blend of Indian and European culture revealing the glorious past of Goa. 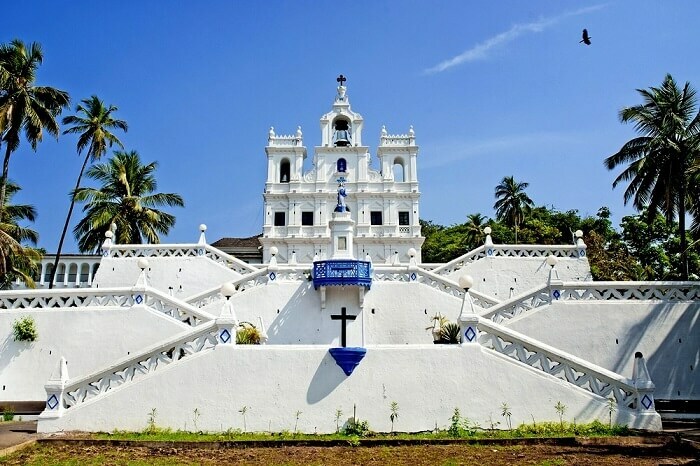 With its unique architecture and innovative makeup, the Our Lady of Immaculate Conception Church is a very old gem in the list of churches in Goa. People visit this church with great devotion to experience the miraculous powers of the Lord. 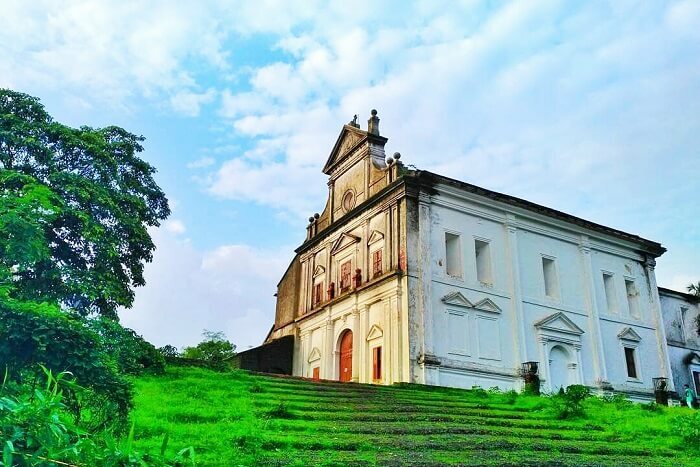 One of the best places to visit in North Goa, this church has a singularly distinctive appearance owing to the double flights of steps zigzagging across the hillside on which the church is situated. 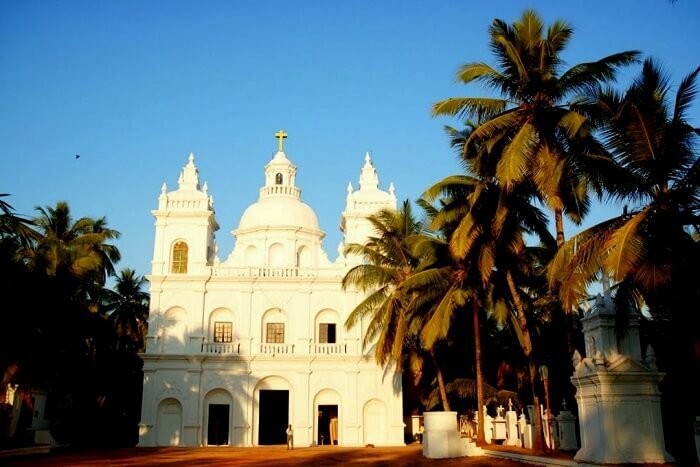 The church is famed for an ancient bell that is believed to be the second largest of its kind in Goa. 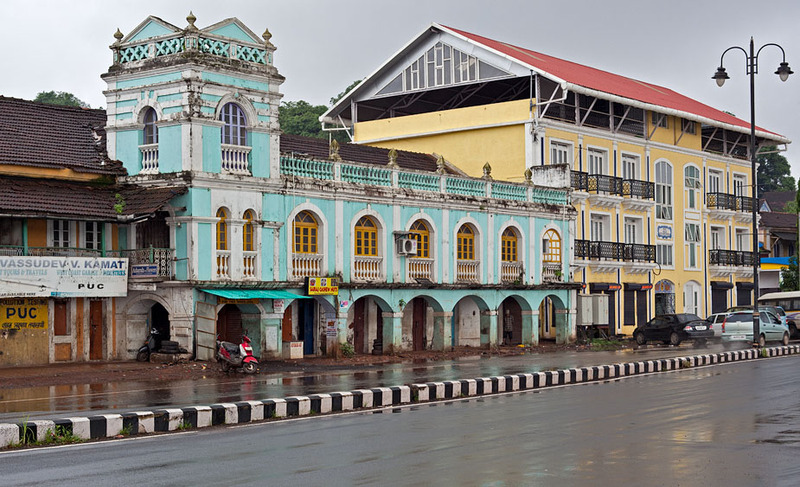 With a magnificent dome in the middle and two towers, the St. Alex Church is known for its unique architecture amongst all the churches in Panjim, Goa. The church is dedicated to St. Alex and Our lady, has an ornate grotto and seven altars giving it a distinct feature. The Holy Cross Shrine is a bit recent composition as compared to other churches in North Goa. The church is revered by people of all faiths and is visited before any important ceremony. 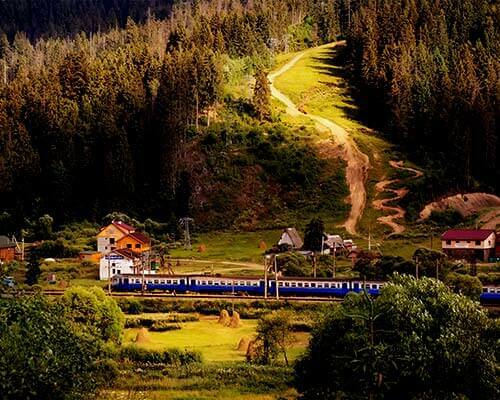 It is a beautiful illustration of religious harmony which can be caught sight of each day. This gracious building of white facade has one of the most beautifully ornamented interiors in comparison to other churches in Goa. With a golden pure tinge to its interior and well-maintained grottos, St.Andrew’s Church is the most famous site in Vasco. 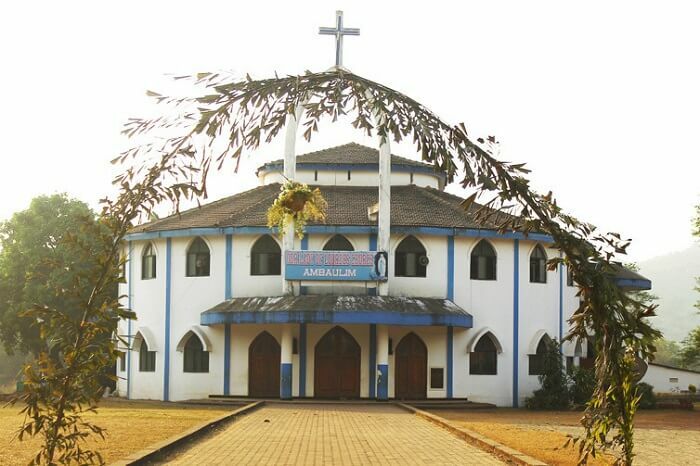 With a bell at the top and Neo-Roman style architecture, this church is quite small as compared to other churches in the town, but has expanded eventually owing to a number of believers it receives. 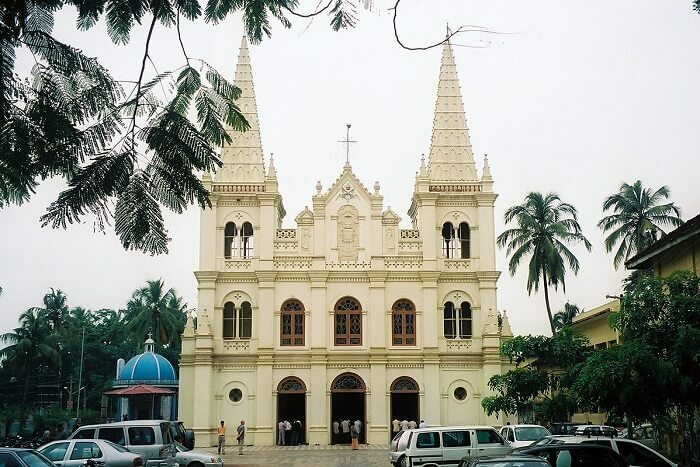 The painted glass and white facade of the church gives a serene touch to it. Location: Near Railway Crossing, Utorda, Goa. 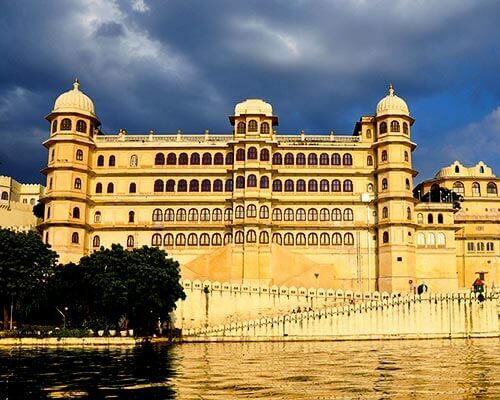 This 16th- century edifice still standing as a steady building is a perfect example of strength and fortitude. 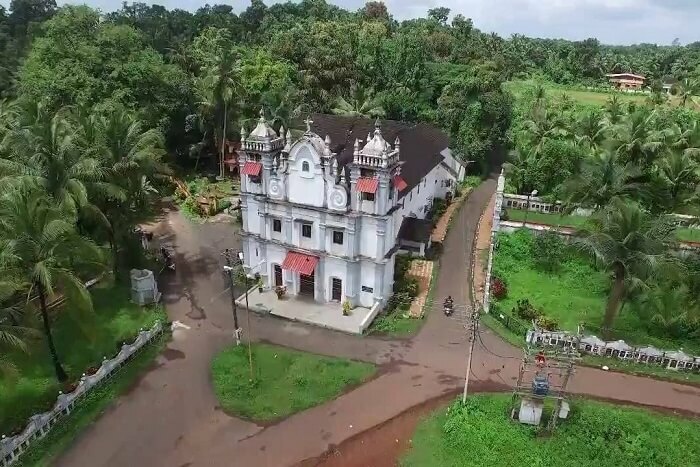 Although now it stands as a historical ruin as amongst the churches in North Goa, this place draws an enormous amount of visitors who just want to experience the miraculous powers this place has. 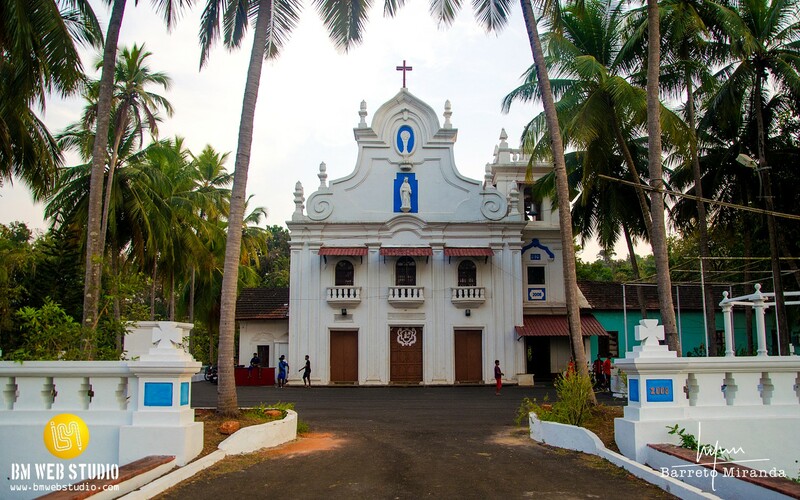 St. Clara’s Church is one of the oldest churches in Goa. 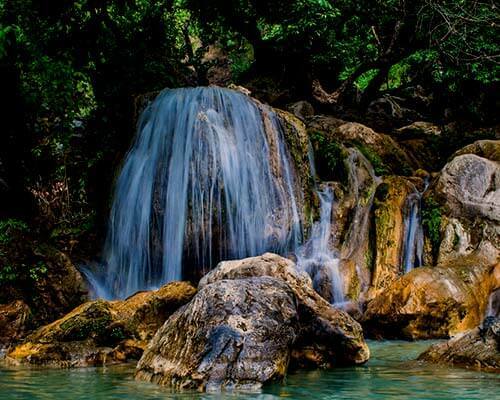 The surrounding lush green forests and a pure white exterior gives a fairy-tale like impression to every visitor. However, its past was not so peaceful as it is now. The church had been attacked several times and was reconstructed each time displaying its strength and people’s perseverance. 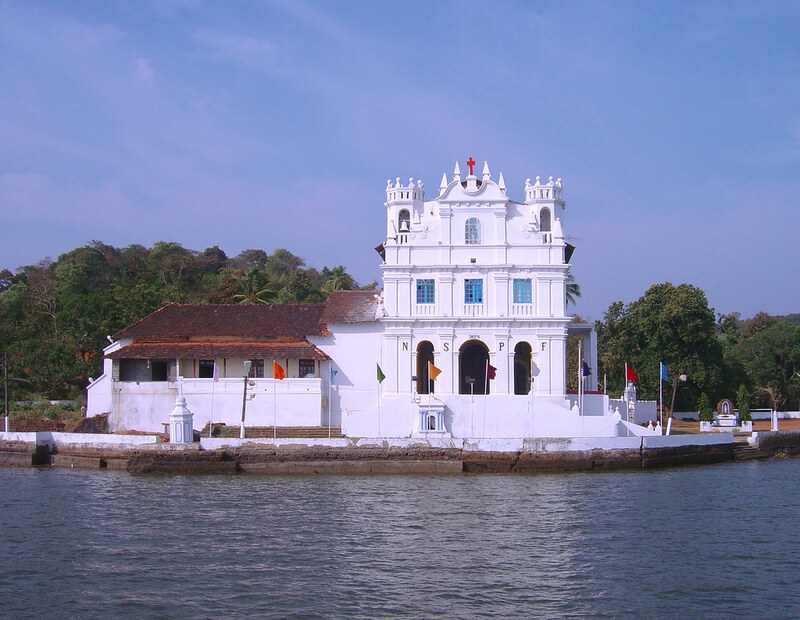 This small white-coloured church is a notable tourist attraction of Panjim. 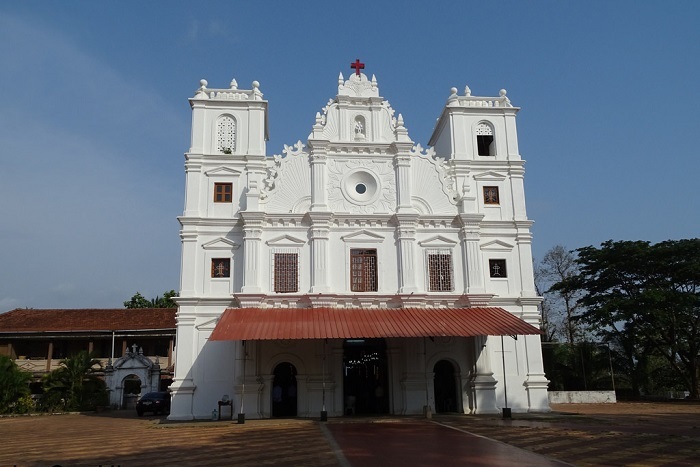 The believe that is attached to this famous church in Panjim is that the “striking crucifix,” which was originally placed in the Palace of Inquisition, has the powers to punish and reward people according to their deeds. 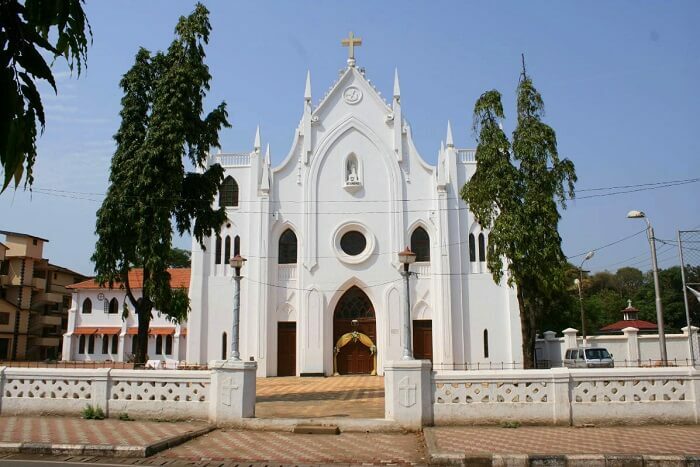 Located on the banks of Mandovi river, Our Lady of Penha de Franca Church is one of the most beautiful of churches. The church is bestowed not only with scenic beauty but also has beautifully embellished interiors reflecting the creativity of those times. 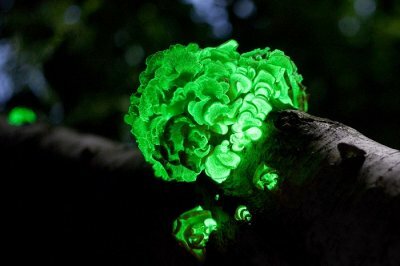 Location: Britona Road, Bardez, Goa. 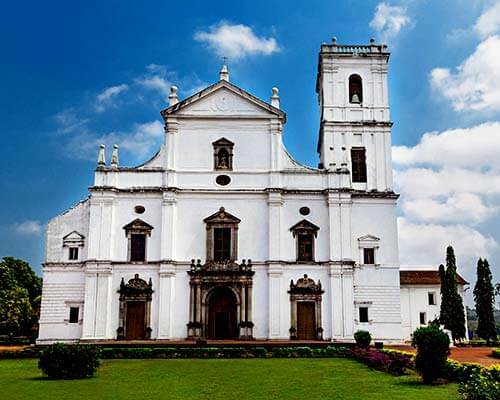 The St Francis Church Goa was established by the Franciscan Friars, and is a stunning mash-up of Tuscan, baroque and Corinthian styles, making it different from other churches in the town. 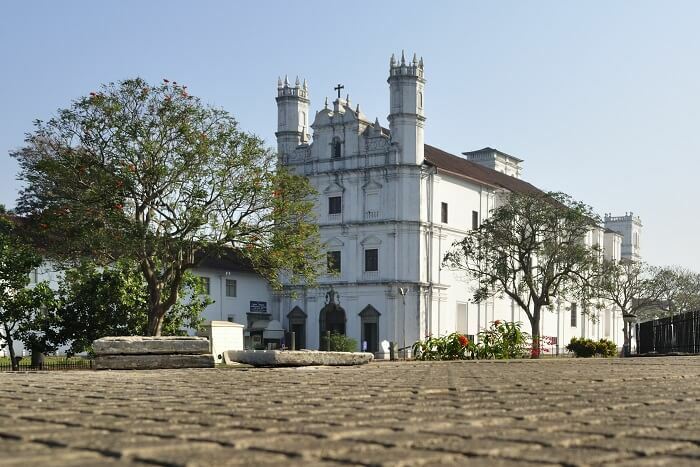 Besides housing a convent, the most distinguishing feature of this church, it also includes a Museum showcasing paintings, sculptures, and artifacts which provide a glimpse of Goa’s culture and past. 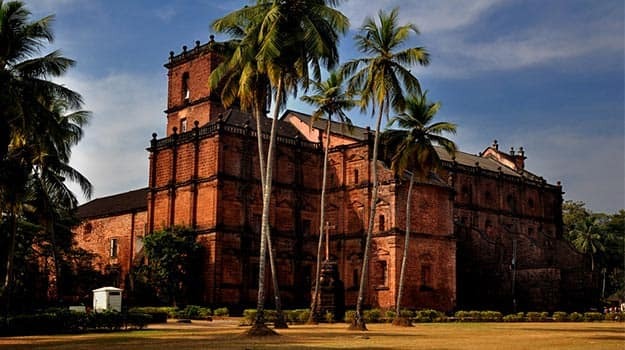 The St. John the Baptist Church, is one of the most famous church in Goa. Situated on top of the hill, it has the most elegant of altars and galleries inducing people to visit this white-washed church. 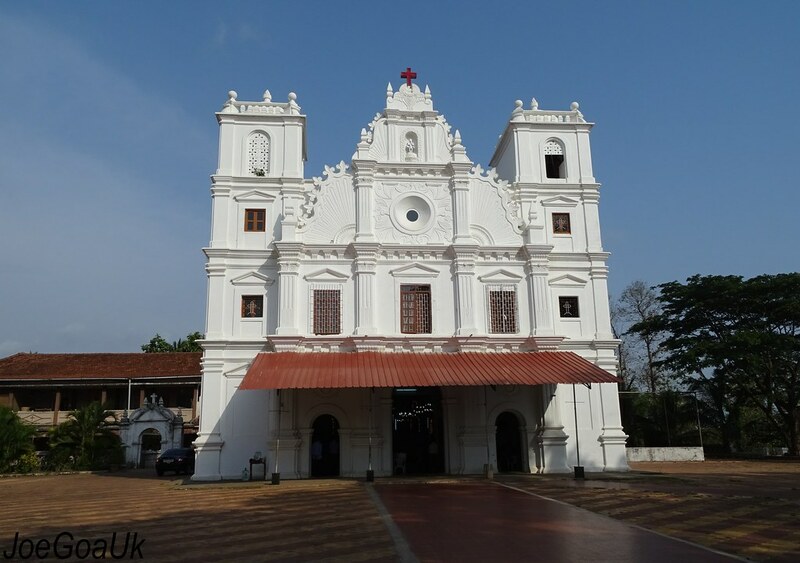 With Christ’s statue featuring at the top of the church, St. Elizabeth’s Church is one of the Old Goa church built in the elegant Mannerist style and including rococo features. 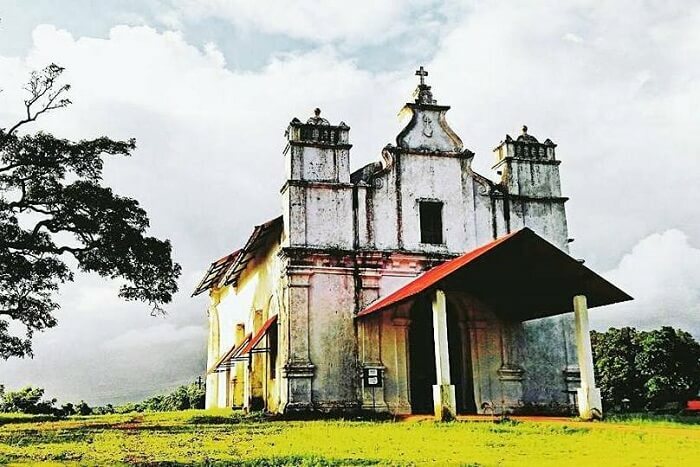 Although once destroyed in a heavy storm, St. Elizabeth’s Church is one of the most beautiful churches in Goa owing to its good maintenance throughout the year. A. 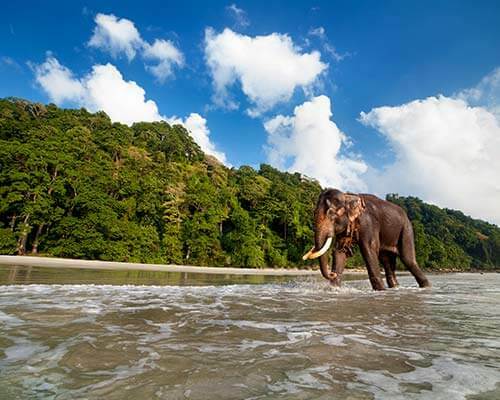 The best time to visit Goa is from mid-November till mid-February. 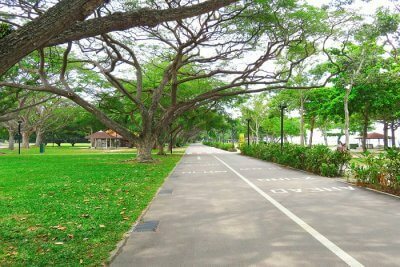 However, the weather is pleasuring throughout the year which contributes to the enormous amount of visitors it attracts. 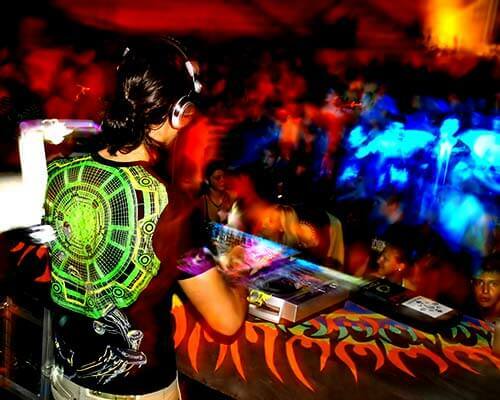 What are the major festivals in Goa? A. 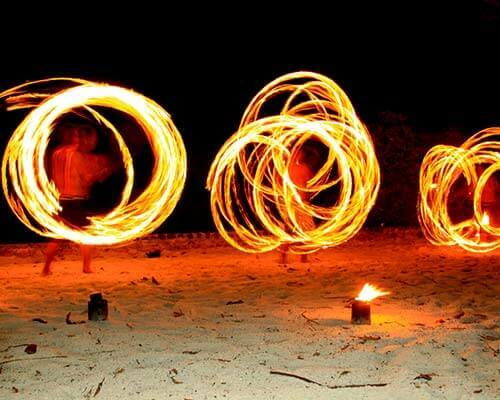 The major festivals celebrated in Goa are Shigmo, Three Kings Feast, St. Xavier’s feast, Christmas, Sao Joao festival, Bonderam festival, and much more. What is the Feast of the 3 Kings? A. The Feast of The Three Kings is celebrated 12 days after Christmas on 6th January in the memory of the 3 Wise Men (also called the Three Kings) who visited Baby Jesus in Bethlehem. 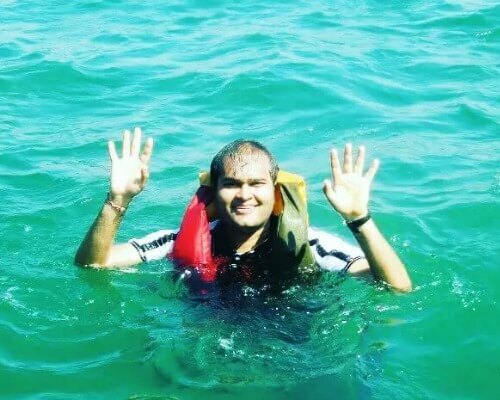 What are the backpack essentials when visiting Goa? A. 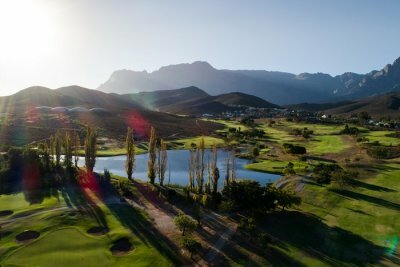 The backpack essentials must include sunglasses, sunscreen, swimsuit, hats, toiletries and medical supplies and the necessary items of the day or anything that you might find important. 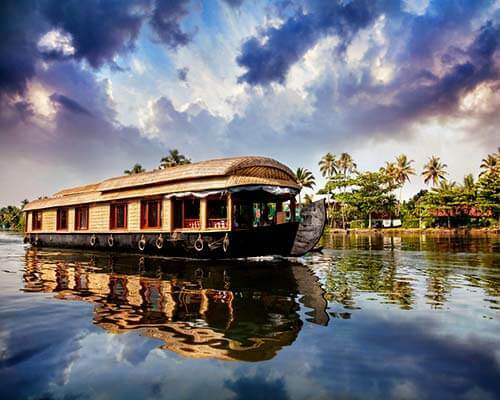 A. Goa is well connected to both major and minor Indian cities through major modes of transport. 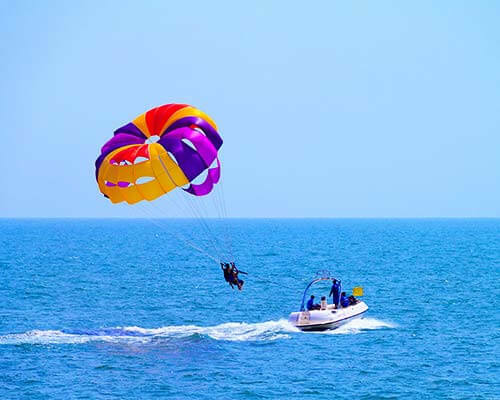 By Air: The Dabolim Airport, Panjim and Mumbai International Airport are the nearest airports to reach Goa. 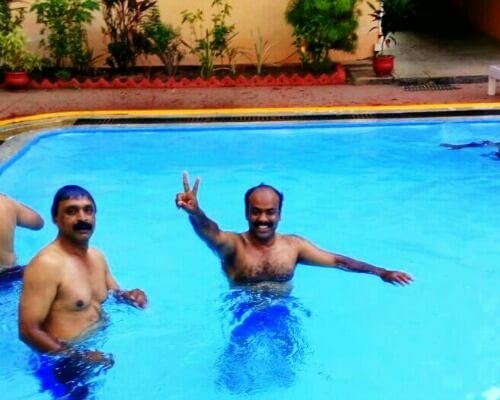 By Train: Madgaon Railway Station and Thivim Railway Station are the two railway station located in Goa. 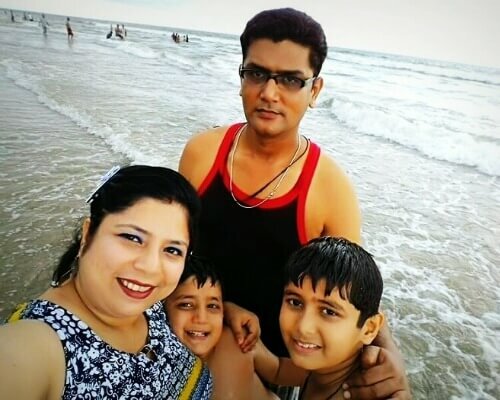 By Road: Goa is connected through NH 4A, NH 17, NH 17A hence one can reach Goa via these highways ensuring that Goa road trip is a good option. Tempting, aren’t they! 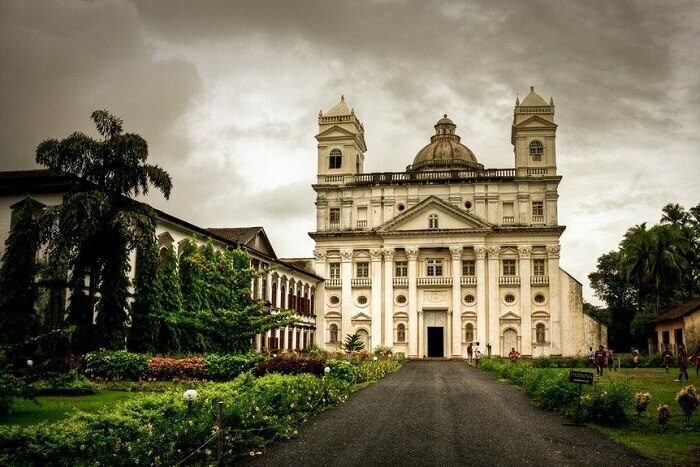 These stunning churches in Goa definitely deserve a visit on your next trip to Goa. 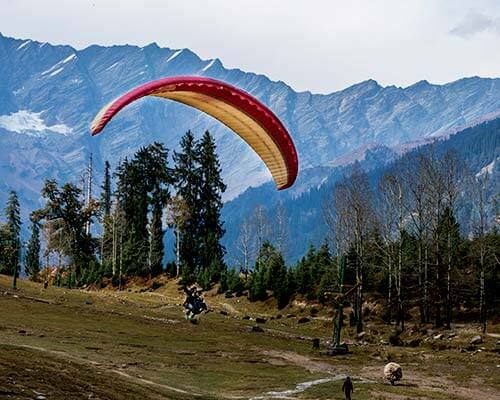 You can explore these through the choicest of customizable and budget-friendly Goa tour packages offered by verified agents in TravelTriangle that let you explore Goa on your terms. 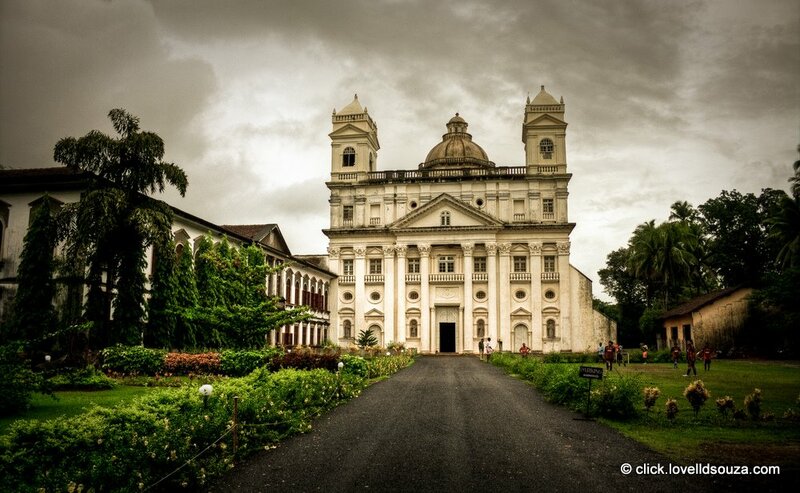 Know of any more stunning Goa churches? Put them in the comments below!